The humid and muggy temperatures continue as we trek into August but so do the fun events, it’s a good trade. 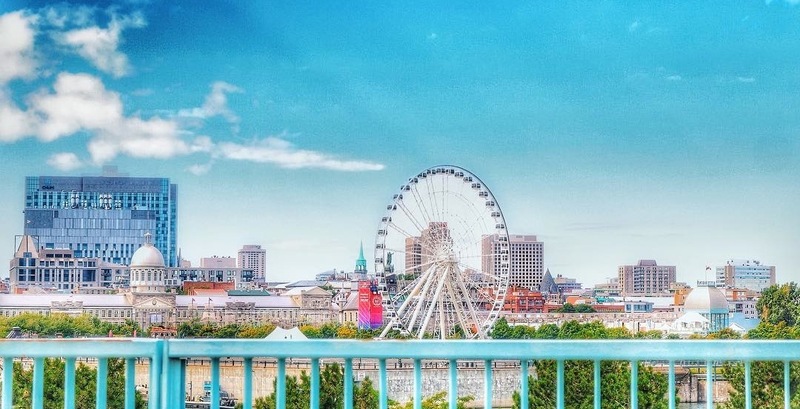 As we set our sails towards the weekend, here are 5 things to do in Montreal today, August 8. The Colombian singer, songwriter and dancer is bringing her enchanting voice and belly dancing abilities to the Bell Centre tonight as part of her El Dorado World Tour. You can be sure that the arena will be packed with ‘Waka Waka’ fans. The untraditional rendition of Shakespeare is happening at Wesmount Park tonight, rain or shine. The long-running outdoor theatre event is celebrating its 30th year and takes on a Shakespearean classic this time around in the form of Romeo & Juliet: Love is Love. It’s a contemporary, gender-bent take on the classic love story. Tonight is the last show for the 5-week long nightly production. Guests are urged to bring their own chairs or may rent one on site for $5. The MainLine Theatre and Montreal Pride Weeks are hosting the brilliant love story that reflects the triumphs and heartbreaks of the gay rights movement. The production is a unique combination of an unexpected love story coupled with an intense and personal exploration of gay rights throughout history. If Shakira is too much for you, go check out Shane Murphy at Honey Martin. He’s one of the best musicians in Montreal at one of the city’s coziest pubs. He just finished performing at Jazz Fest and he’s back to his regular Wednesday gig in NDG. He’s silky smooth on the guitar and has a soothing and hip voice. He plays covers and original pieces. Considering it’s free entrance to watch him, it’s an absolute steal. McKibbin’s Irish Pub hosts their “Hooley Night” every Wednesday on their floor. Ladies pay $10 at the door, gentlemen pay $25 and then it’s an open bar, all you can drink. The bar offers Moosehead beer, vodka, gin, rum, rye and whiskey as part of the special. The third floor features a dance floor and a DJ. If you’re looking to dance and drink on a Wednesday night, it’s tough to find a better deal than McKibbin’s. Get there nice and early to beat the line.